Everything on this board is, and will always be, less than $50! My goal is to share affordable & fun fashion! Pin this outfit if you like it! Scroll over the photo & a 'pin it' icon will pop up on the top left of the photo. Click it and you're all set! 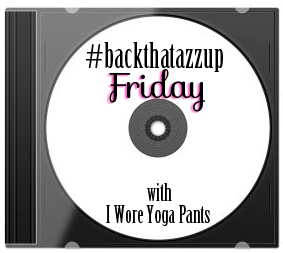 It's #BackThatAzzUp Friday at I Wore Yoga Pants!